From Ty Roberts of Atlanta, Georgia on 10/1/2016 . It has been stated many times that King Crimson is not so much a band as it is “a way of doing things”. Less frequently stated but equally true, is the fact that the band inevitably seeks different ways of doing things. The current incarnation of the band, 2014 – the present day, has already released two taster sets in the form of 2015’s Live at the Orpheum mini-album and the vinyl picture disc EP that accompanied the 2015 tours of Canada and Japan, while the full raw concert performance from a single night in Toronto in 2015 was presented as a 2CD set earlier this year to great acclaim. Now, with the release of Radical Action comes the most fully realised audio and visual statement from this band to date, running to three themed CDs and a Blu-Ray disc offering the filmed content along with an audio only option in lossless high resolution stereo and surround sound. The set includes at least one performance of every song/piece of music played by King Crimson in 2015, some pieces originally composed in 1969 the year of the band’s inception, others composed/initially performed at a variety of points since, some new to the tour, all arranged for this specific line-up. Indeed it is characteristic of this King Crimson – in direct contrast to all other post 1970s line-ups - to feature a broad range of material from the 1969 - 1974 era, performed in such a manner as to maintain much of what made the music so arresting when first issued, while arranged for fresh interpretation by the seven piece line-up of today. As Fripp put it (when asked what the title of the album meant to him): “What I like about this band is, that what it is actually doing is not what it appears to be doing...”. 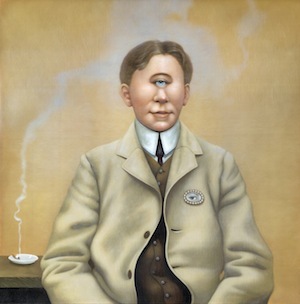 The idea of King Crimson re-imagined, that the music as presented is new, irrespective of when originally composed, is the key element in this band’s makeup. The set will be released to coincide with King Crimson’s most extensive European tour since 1974, with performances slated to include, for the first time ever, material from all seven of King Crimson’s 1969 – 1974 iconic studio albums. Audio: Three themed CDs of material recorded in 2015, each forming a separate discrete performance with audio selected from a variety of shows and fully mixed from multi-track tapes by Chris Porter, Robert Fripp and David Singleton. As no audience is audible between tracks, this allows for a “virtual studio album” effect. (The current King Crimson line-up was deliberately conceived as a performing band rather than as a band concerned with making full studio recordings). Video: Among the problems most associated with filming live performance, perhaps the key problems are those of the film-makers’ cameras intruding on the audience’s capacity to enjoy the show without interruption and the intrusion of the cameras on the band’s performance. In effect, both performance and audience response must be misrepresented to approximate a live show for later consumption. In order to record the performances more accurately, a series of Japanese concerts was captured via a number of discreet cameras in a “video vérité” style – with neither band nor audience disturbed by filming – by Trevor Wilkins who also edited and assembled the footage. Audio/Video: Blu-Ray features the concert film in high-resolution [24/48] stereo and 5.1 surround sound with additional ‘video off’ mode allowing for high-resolution audio only playback in stereo and surround sound. In essence the music can be experienced in a number of different ways – as continuous uninterrupted audio on CD, as a viewable concert performance in stereo or 5.1 surround, or in high-resolution, lossless audio stereo or 5.1 surround without pictures on the Blu-Ray. Presentation: 2 x gatefold mini-vinyl style card sleeves containing the 4 discs plus booklet containing photos and audio notes housed in an exterior slip case.